(2011) New York: The Penguin Group. Main Take-away of the book: If given access to the right means, motives and opportunities the billions of hours of worldwide free time can be aggregated into a cognitive surplus for personal, communal, public and civic purposes which would not have been possible before the World Wide Web. The book starts with the huge social change in early 18th century London which saw, in the early days of the Industrial Revolution, a great population influx that resulted in 1 out of 10 citizens of England living in its capital city. Parallel with this situation was the increase of the consumption of gin. A concerned government began to create a series of legislation which would discourage the production and consumption of gin, which basically made no impact. Shirky says, the reason these laws did not bring about their desired results was that gin was not the problem, but it was more a resulting symptom of the social change going on in London at the time. Shirky compares this to the social change of the 20th Century which also saw an exodus of American country-dwellers flocking to the cities for new opportunities. Watching television became the “gin” of the 20th Century. It appeared that a problem emerged that citizens were becoming more passive at work and using their free time at home to passively consume professionally-made productions, thus the creation of millions of couch potatoes. Since the introduction of new media tools, however, consumers now have the ability to become participants in not only the consumption but the production and sharing of cultural products—from creating captions to images on icanhascheezburger.com to making important journalistic documentations of political violence around the world. Shirky believes that all that is needed to achieve personal, communal, public and civic benefit is through the aggregation of global free time through the connections that are now possible on the internet. Once people have the means, the motive, the opportunity and the culture to support these practices, much will become possible. Shirky uses the next four chapters to cite examples of how this has already been achieved.. Example 1: In fear of mad cow disease, the South Korean government suffered a grassroots backlash when it lifted a ban on American-grown beef. Ironically, the movement stemmed from 14-year old girls, not even old enough to vote. They had been discussing the lifted ban in a forum on a website dedicated to a boy band called “Dong Bang Shin Ki,” (DSBK). This website provided a central space for discussion, which allowed DSBK fans to not only talk about their favorite music, but bring up other issues they were thinking about. This led to the organization of protests about the lifted ban on American beef which ultimately led to the beef ban to be reinstated. This example also shows how websites can be shaped by their participants (34). Example 2: PickupPal.com, a website for commuters to arrange carpools by themselves. Trentway-Wagar, an Ontario bus company sued PickUp Pal and actually won their lawsuit, but the public did not support their position. “[T]he Ontario legislature amended the Public Vehicles Act, which then made PickupPal legal again” (41). Shirky equates having “the means” to achieve these feats with the historical response to the invention of Gutenberg’s movable type. Once a technological revolution occurs, old-fashioned models of production need to adjust. “If it’s expensive to own and manage the means of production or it requires a staff, you’re in a world of Gutenberg economics…” “where the producers have to decide what’s good before showing it to the audience” (45). However, with digital technology, there is no longer a gap between those that consume and those that can publish (46). Many maintain that an increase in publishers leads to an overall decrease in the quality of published works, which can happen, but the advantages include “an increase of experimentation in form” (47) which then gets fed back into what is regarded as proper form and expands the quality of “quality” work. Another advantage is when something becomes more pervasive, it isn’t regarded as valuable as when it was rare. Shirky argues that perhaps this means the reason it is valuable is not because it is of quality, but because of its rarity. “Abundance”…” means we can start treating previously valuable things as if they were cheap enough to waste, which is to say cheap enough to experiment with” (49). Other advantages of the increase of voices in society is that it gives voice to those that never had it before (such as South Korean 14-year old girls). It’s caused a fusion of public vs. personal media (84) and has increased two-way communication between older forms of media and the public. Shirky doesn’t believe in technological determinism: “Our new tools haven’t caused those behaviors [of increased participation in media creation]; but they have allowed them” (63). Example: Grobanites (fans of Josh Groban) and the creation of Grobanites for Charity shows a group that has united completely out of intrinsic motivation. The movement was completely a grassroots effort, as Groban had made no request for such a charity to be set up in his name. However, as their efforts grew, Groban was happy to put his name on it and decide where their contributions should go. Study: Shirky peppers the book with a couple psychology studies which imply how to maintain interest and action. In a study by Deci, researchers watched study participants playing with puzzle pieces and were told to come up with as many shapes with the puzzle pieces as they could. Initially, participants played freely with the puzzles for no compensation. Secondly, participants were compensated financially for their efforts, and lastly the same people who had been paid for their efforts, were then offered no compensation. The results showed the group that wasn’t offered compensation at all (those with intrinsic motivations) played with the puzzles more than those that had been paid but the payment was taken away. Those that were paid shifted their motivation from intrinsic to extrinsic, so when the extrinsic motive was taken away, so was their internal motive. Example: People’s 50 Most Beautiful People of 1999 (93-95). This is an example where opportunity can go awry. In 1999, People magazine offered internet viewers a chance to vote for the “Fifty Most Beautiful People of 1999.” There was a list of names, but there was also a “write in” feature where viewers could offer their own suggestions for beautiful people on the survey. 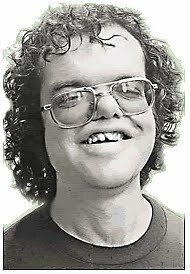 Once Howard Stern fans heard of this, the survey took an unexpected twist when Stern fans began a campaign to vote for “Hank, the Angry, Drunken Dwarf,” a regular on Stern’s radio show and he ultimately won. Says Shirky, “If you give people a way to act on their desire for autonomy and competence or generosity and sharing, they might take you up on it”…”However, if you only pretend to offer an outlet for those motivations, while actually slotting people into a scripted experience, they may well revolt” (95). games. Basically, Shirky believes the results of the Ultimatum Game show that when given an opportunity, people will benefit more from acting generously in markets than acting selfishly (109). A variant is explained in the video on the right. Example: Patientslikeme.com is a website where people with rare or confounding illnesses and diseases can go to discuss what their experiences have been. It bypasses HIPPA and FERPA rules by allowing people to discuss how they’ve dealt with serious illnesses such as AIDS or Lou Gehrig’s Disease (155) with other sufferers of these illnesses. Shirky believe this example demonstrates that “one way to get people to accept the risks of social connection is to increase its rewards” (159). So if the discussion and data of these patients can be shared and assembled, cures and treatments might be found more quickly than if this information was kept hidden and separate. Shirky says that once the means, motive and opportunity for action are in place, it is important to create a culture that supports and fosters mutual agreement, sharing and policing within the community so it can continue to work. Study: The chapter starts with the results of a study and Gneezy and Rustichini’s “A Fine is a Price” which studied the amount of times parents were late in picking up their children from day care before and after there was a fine for being late. The result of the study showed that once a “fine” was put in place, parents began to regard it not as a penalty, but just the price it cost to leave your child after normal business hours. Therefore the amount of times parents left their children late skyrocketed, and even remained high after they took the “fine” away. Shirky’s discussion on how the field of science was greatly improved once alchemy gave way to chemistry is one of the most compelling of the book. Alchemists operated in a cloak of secrecy, whereas, members of what was called The Invisible College developed a culture which insisted on the free sharing of data, protocols and methods: “Their insistence on clarity of method mad etheir work both collaborative and competitive, and new methods and insights quickly became input for still further work” (137). Example 1: Couchsurfing.com-- a service that offers free travel accommodation in private homes all around the world (165). Travelers find homes in their destinations where they can stay for free. Traveling women who stay in the homes of strange men are certainly subject to incredible risks. However, Shirky seems to think the way the couch surfing community is structured minimizes these risks. Shirky maintains where “Brides on Tour” went wrong was that it did not offset any of the risks that “an oddly and ostentatiously dressed woman, hitchhiking alone, in a foreign country” (168) would be posing. “Between the artists and the couch surfers, the artists were taking the bigger risk… because they believed, wrongly, that human motivations are basically benign… Couchsurfing.com helps travelers find hosts and vice versa, but the site also includes host profiles, a reputation system like eBay’s for hosts, and lots of advice about safety, particularly for female travelers” (168). Refers to when Shirky’s daughter ran behind their television set after watching a TV program to look for the mouse. Shirky adopted the idea to apply to the idea that we should create opportunities for each other to create networks and communities that can achieve the types of benefits listed in Chapter 6. Cognitive Surplus: The amount of total hours of free time and knowledge available globally that should be considered a shared, global resource (27). Extrinsic Motivations: Social, external motivations. The main ones he cites are Membership/connectedness and Generosity/sharing (78). Intrinsic Motivations: Internal motivations. The main ones he cites are Autonomy and Competence (75). Looky-loo: A person who only consumes, a lurker (21). "Participants give feedback, looky-loos don't" (22). Media: "the connective tissue of society" and "how you know about anything more than ten yards away" (54). Milkshake Mistake: when companies concentrate on changing the product instead of finding out how consumers use their product (13). The People Formerly Known as the Audience: a term attributed to Jay Rosen that refers not to a passive, feminized audience, but to groups of people that are active, organized and energized participants that also participate in their governance (36). Many of the books that discuss new media focus on the materiality of the technology and the connections that are possible in global networks without really connecting these relationships to applicable, tangible results. Cognitive Surplus discusses the transcoding (to use a Manovich term) aspect of these connections: specifically, now that we have the technology to globally connect (means, motive and opportunity), what can we do to make the world a better place? How can we engage people to participate more in these connections and actually move society forward on personal, communal, public and civic levels? The fact that Shirky provides not just utopian "what if's" but rather actual examples of what is possible makes the book more applicable and ready-to-use. Bottom line: Should you read this book? If you want to follow the journey of Shirky's conclusions toward this utopian view of humanity and its innate sense of generosity, then this book will inspire you. If you have a more suspicious eye toward the intentions of those around you, this encapsulation may be sufficient. Cognitive Surplus should be considered when looking at any collaborative production or action. Keeping in mind that your collaborators and audiences can be engaged with intrinsic and/or extrinsic motivations can be useful when sharing an opportunity for group goals or activities. In a TED lecture, Clay Shirky goes over the bottom line of Cognitive Surplus, which is to create a culture of generosity that inspires the free consumption, production, collaboration and sharing of not only cultural projects such as lolcats, but also civic projects. Visiting Lecturer, Edward R. Murrow, Joan Shorenstein Center on the Press, Politics, and Public Policy, Harvard Univeristy, 2010.
which deter sellers from not following through on transactions. This book doesn’t focus really on the concept of archiving, although there are communities that are archiving their activities. Shirky doesn’t really talk about these efforts though. The structures of networks continually and organically shift. Although Shirky doesn’t mention Articulation Theory (Stuart Hall) specifically, his descriptions of the causes around people are gathering around to support shows a clear articulation of purposes within these groups. Once the purpose has been achieved or something else occurs, articulations break apart again and align themselves with other groups. Shirky believes in “The Invisible University” where information and knowledge can be collected and shared freely. The concept of interactivity, usually associated with feedback loops or user-generated content, is taken to the next level as the cognitive surplus allows for not only simple communication with organizations, but civic participation in face-to-face environments and for tangible causes. Whereas Shirky doesn’t address logistical issues when multiple cultures or personalities collaborate, the fact that cross-cultural, global collaboration is possible speaks to the availability of interfaces that many can gather around and utilize. This book is all about networks and what is possible when global residents aggregate their free time for personal, communal, public and civic benefits, causes, or actions. The concept of pattern could be tied to Shirky’s ideas only in that Shirky probably doesn’t really care about how people will align themselves for common purposes, but just that they will and should. As we are dealing with multiple populations, ages, cultures across a non-linear means (the internet), networks, hubs and nodes will form organically, and therefore the idea of patterns or “arrangement” may not be something that can be controlled. Performance fits well with Cognitive Surplus as Shirky is measuring the success of it by looking at how groups have already achieved it, aka how other groups have already achieved their agendas or goals, or performed and delivered their cultural products. Persistence, Brooke’s term for the canon of memory, seems to fit least with Cognitive Surplus, as the ubiquitous nature of knowledge does not require the skill of a well-developed memory. However, it is possible that the idea of memory within groups can lead to a shared sense of membership or purpose. As goals are achieved and as activities are shared, so is the sense of a common culture, history or to use Shirky’s term, membership. Persistence, Brooke’s term for style, is another that seems to fit least with Cognitive Surplus, due to the organic and shifting ways in which communal action develops. It is not always possible to predict a set protocol in how group action will arrange itself. However, Shirky speaks of how thinking “outside of the box” leads to experimentation, which then flows back into more mainstream practices. As with persistence, once a goal has been achieved employing a certain protocol, other groups can use it as a prototype when responding to another purpose or cause. Proairesis fits well with the ideas of this book as no one really yet knows what will be possible if Shirky’s ideas are applied to larger and larger groups with more civic-minded agendas. Another concept that this book doesn’t focus on. However, it is possible to consider the ways in which people can unite could be thought of as simulating the actions of one entity. Hall.” Critical Dialogues in Cultural Studies. New York: Routledge. 131-150. Manovich, L. (1995). The Language of New Media. Cambridge, MA: The MIT Press. into Collaborators. New York: The Penguin Group.